Just thought I'd share the good work that Rolex UK have done in servicing my Oysterquartz Day-Date, with a serial that dates it to 1979. I picked it up about six years ago, and just sent it off for a service a few months back - it had started just randomly losing large chunks of time, and it wasn't down to the battery, so off it went. I asked them to leave the dial and hands alone, as it still has a tritium dial, and I wanted that left as-is without getting a luminova replacement. 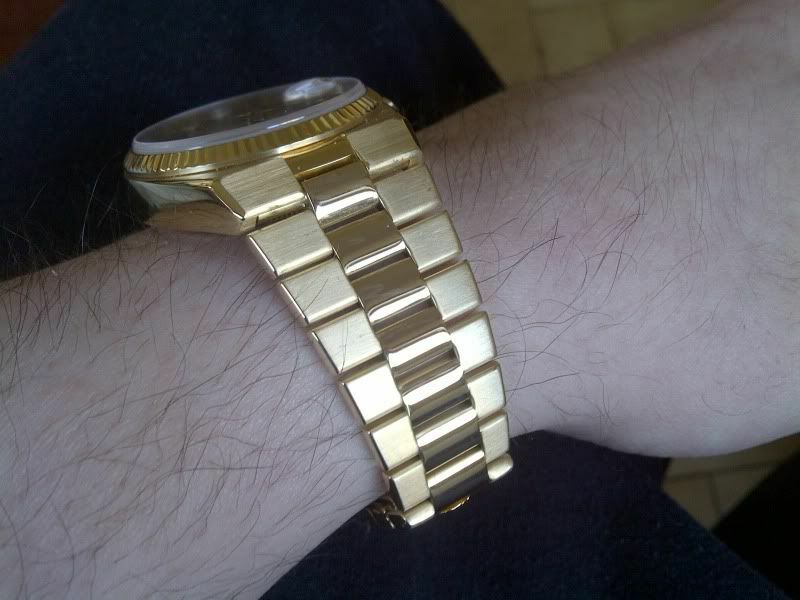 But the re-finishing of the case and bracelet seems to have been done really well, with only a few little blemishes here and there that it seems they couldn't completely erradicate (it had a fair few dings and scratches on it). Previous Topic: Around what year did rolex go to thin font insert on the subs? 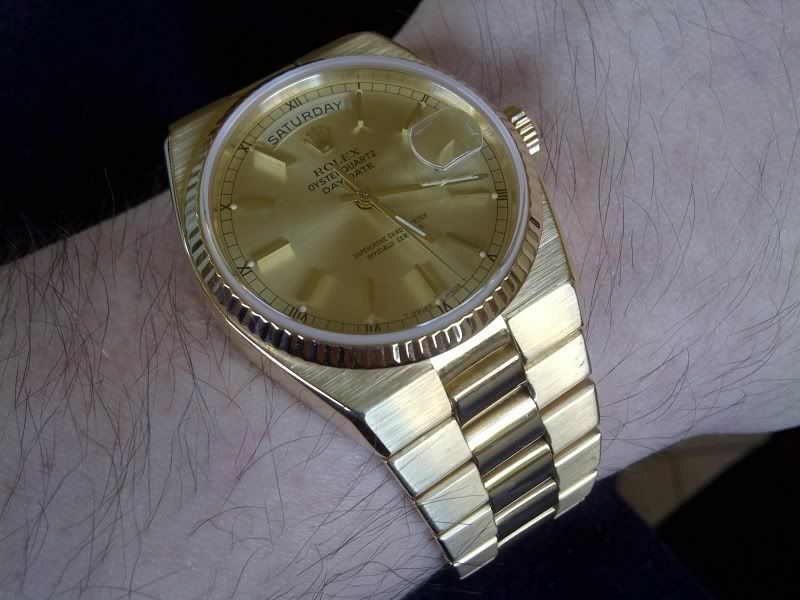 Next Topic: Rolex Parts/Service for Vintage Watches - What's the Latest?